I would like to start this by telling you this is my first gi review. I’m really happy to have been provided the chance to review this gi, it is an awesome choice in training and for tournament competition. There are three prime characteristics I want in my gi. I want a durable gi with a close fit that meets all standards for competition in the federations I compete. I want the gi to be light weight and easy to clean. It also wouldn’t hurt my feelings to find a gi which looks good. As I judge the Estilo Premier 4.0 by that criteria I find it quickly became my absolute favorite gi. The combination of prime functional improvements and simple aestetics has made it my #1 choice for tournament or training day. The Estilo 4.0 has a 500gm single piece pearl weave jacket. It features heavy duty contrast stitching and is re-enforced at all major stress areas. One of the first things you notice when you feel it is the collar material. The collar is constructed of a composite rubberized canvas designed to improve durability and maintain shape longer. A stylized orange/white/black Tatami Fight Wear patch is fixed on each shoulder and down the front of the left lapel. On each shoulder there is an additional stylized patch for the Estilo line. The cuffs are triple stictched re-enforced. The pant fit snug for me and i could notice the difference in the thicker material compared to my other gi’s. I have noted a minor degree of less friction with these for certain movements. I have a 34″ inseem and the pant leg terminates about 2″ above my ankle. The pants breath well and dry fast. The jacket has shorter sleeves compared to my other gi’s, and it feels much more durable. Although it feels thicker I noted it does not feel as hot when I roll. I have also found it dries faster after being laundered. I really like the vibrant blue color. I am not one for patches and such but the few patches on it look good. Being a white belt I was teased a bit, “hey man that gi looks to good to be on you right now” all in good fun. I believe these are great gi’s and well worth the price. I couldn’t complain about a single feature of it. In terms of practical application I can honestly tell you I am doing much better with a gi fitted better to my frame compared to my others which are much looser at the same size. 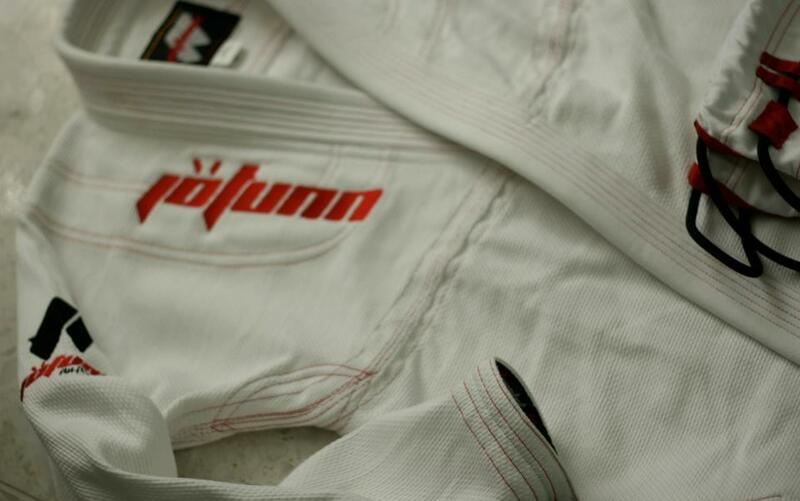 I think most tournament players will apperciate this gi for it’s durable construction and lighter weight. 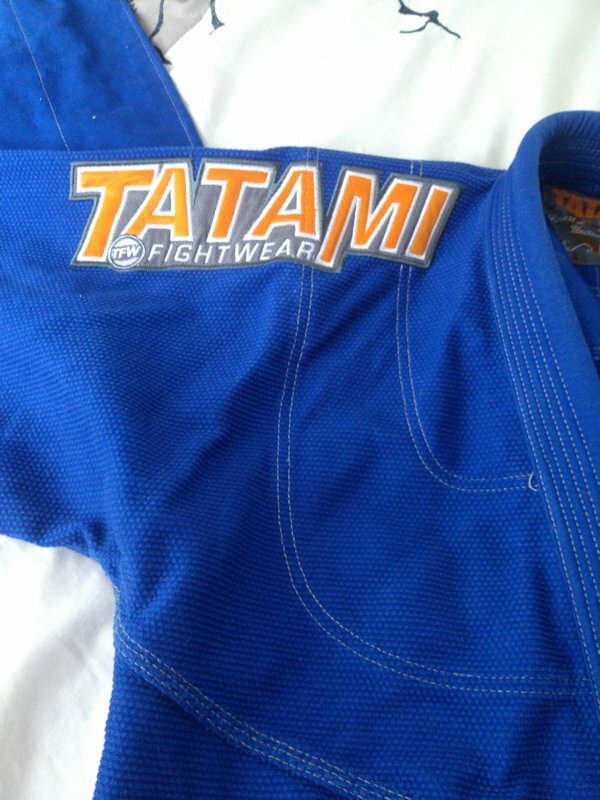 The bottle line –Tatami Fight Wear makes great gis. For a few more opinions on the Estilo 4.0 check out Meerkatsu (black gi), Grappler’s Review (blue gi), and BJJ Gear Junkie (black gi).